Rooster Teeth has announced that it will publish the first-person puzzle action horror game Bendy and the Ink Machine for Nintendo Switch in October 2018. Bendy and the Ink Machine for Nintendo Switch will feature the four previous chapters, as well as the final never before played fifth chapter, “The Last Reel.” Rooster Teeth is partnering exclusively with GameStop to bring the game to retail for the first time. Fans can pre-order the game now at GameStop, both in stores and online, for $29.99. 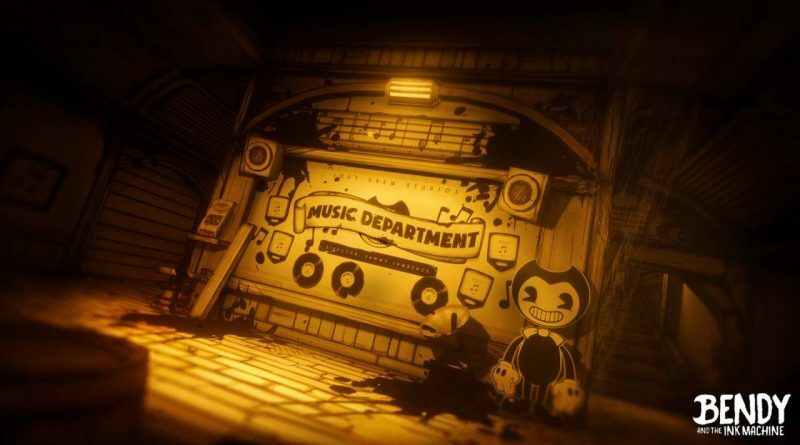 Developed by TheMeatly Games, Bendy and the Ink Machine is an episodic first-person puzzle action horror game that begins in the far days past of animation and ends in a very dark future. Play as Henry as he revisits the demons of his past by exploring the abandoned animator’s workshop of Joey Drew Studios. With twists and turns around every corner, Bendy and the Ink Machine is sure to thrill… and decimate any childhood memories.